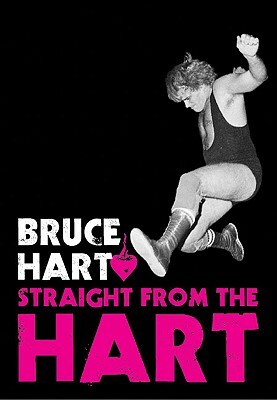 Bruce Hart is one of eight sons of legendary wrestler and wrestler trainer Stu Hart. His new book, a biography of a life in wrestling and life in a wrestling family by ECW (entertainment, culture and writing) Press, is a whirlwind tour through the who's who of professional wrestling, spanning rival wrestlers and rival leagues. Bruce takes an honest look at wrestling from behind the scenes. He tells us stories few have heard, and maybe fewer would believe. Tales of who is really a villain off scene, but plays good guys on the TV and vice versa. Who really showed up to support when his brother died in the ring and many more. He states that growing up, the neighbours considered them a cross between the Beverly Hillbillies, the Addams Family and Twilight Zone. This book is a chronicle of a personal life, a family's life and the whole wrestling business. Bruce writes a great book that will be enjoyed by the rabid fan or just the casual fan alike. It will even be a good read for someone interested in Canada's and especially Calgary's prominent role in the international phenomena of professional wrestling. With stories spanning from the 1930's until today, there is a little something for everyone. Sounds fascinating - I might give it a try.